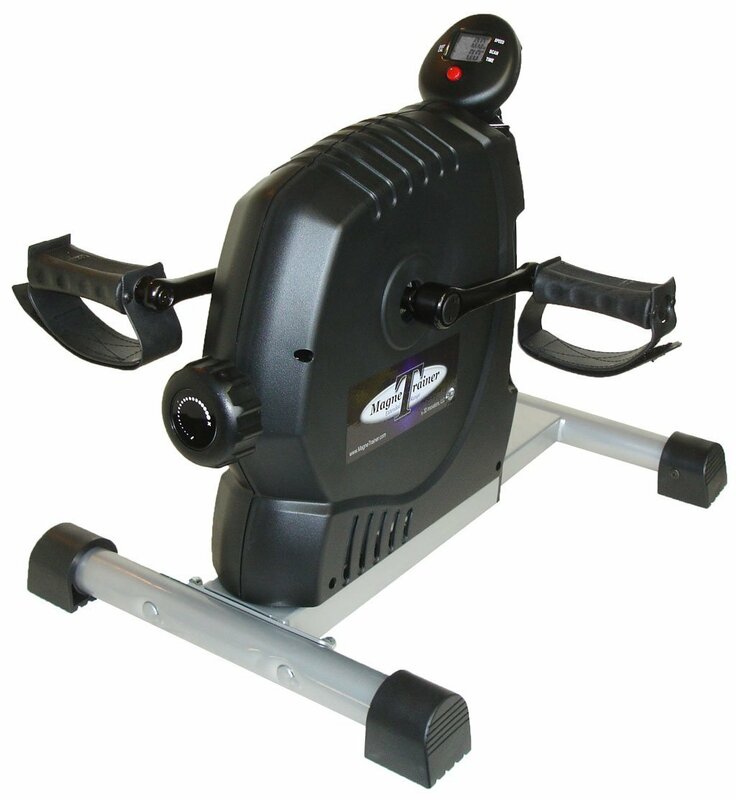 Most of the mini exercise bikes on the market are also known as pedal exercisers or under desk bikes. They are designed to work the legs but they can also be placed on a table to do arm exercises. These minis are ideal for rehab, the elderly or just about anyone who wants to get in an arm or leg workout at home or at the office. Mini exercise bikes come in a variety of price ranges, from under $50 all the way up to about $200. As you move up in price the quality definitely improves, but you don't have to spend top dollar to get a very good one. 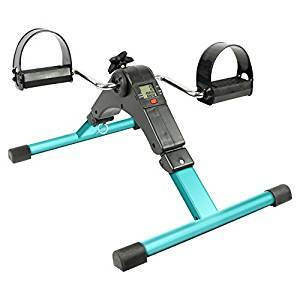 Your best bet under $50 would be the Vive Portable Pedal Exerciser, a well built, foldable machine with smooth motion and compact design. You can change the resistance with a turn of the knob to challenge yourself, and it comes with a multifunction display giving you 5 different workout metrics. Another good choice is the MedMobile Lightweight Portable Folding Mini Bike, made of heavy duty steel with a large knob for changing resistance. There's a five function display console and it folds easily for storage. 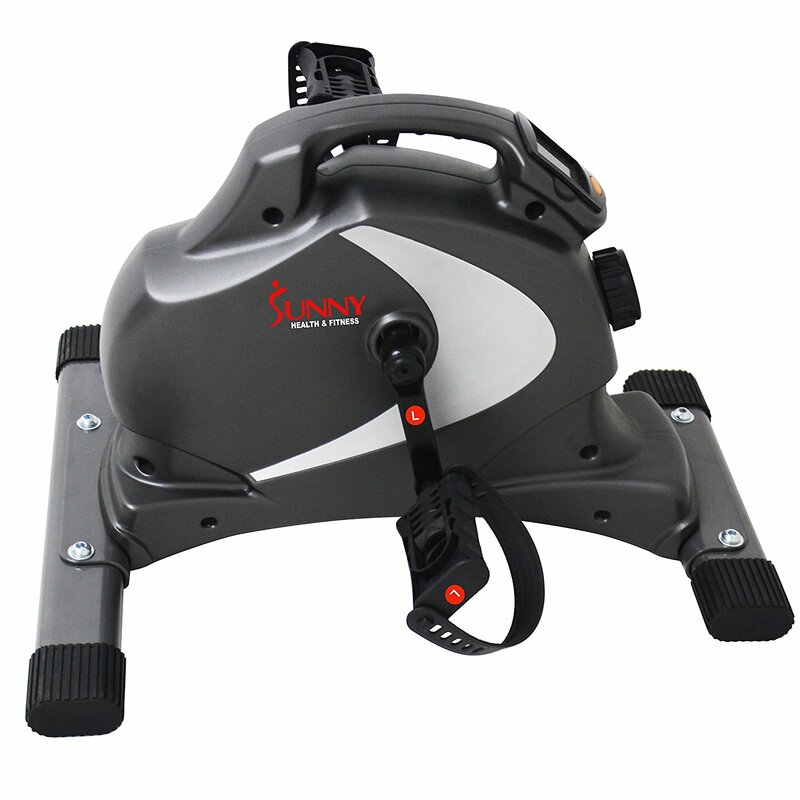 The Exerpeutic 7101 Active Cycle Mini Exercise Bike has an adjustable speed motor plus adjustable foot straps and a multi-function LCD display for time, speed, distance, and calories. It comes with carry handles and weighs just 12.5 pounds. 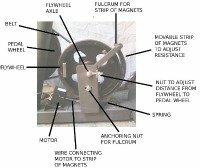 You can use it with or without the motor. Reviews on this mini bike are great as it proves to be a winner. The Sunny Health & Fitness Magnetic Mini features 8 levels of resistance, both hand and foot operation, an LCD display showing time, speed, distance and calories and safety pedal straps. Perfect as an under desk bike or on top with its space saving, compact design. 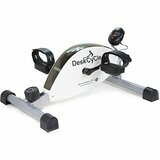 The DeskCycle Desk Pedal Exerciser is one of the most popular under desk bikes on the market today, due to a number of appealing features. It has one of the lowest pedal heights available (10 inches) which means it can be used regardless of how low your desk is. 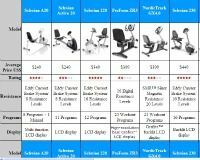 It has 8 magnetic resistance levels, performance monitor, smooth motion, large pedals, wide base support, and an online calorie counter. 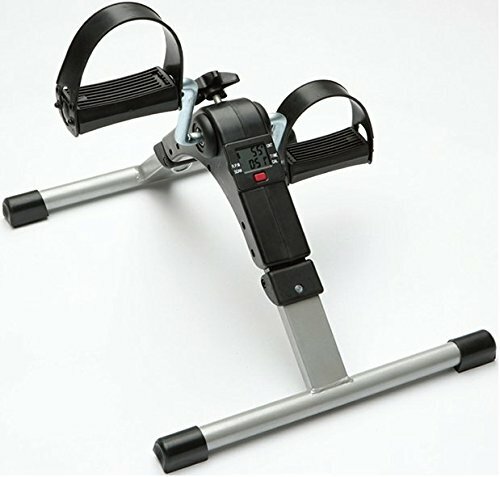 The MagneTrainer-ER Mini Exercise Bike is another great pedal exerciser that is very similar to the DeskCycle, but sits about 5 inches higher so might not be ideal for very low desks. You get magnetic resistance, a sturdy base, a performance monitor and smooth, quiet operation. Who Uses Mini Exercise Bikes? At first glance, these mini bikes seem to be gimmicky gadgets for lazy exercisers. On the contrary, read just a handful of reviews and you will see that people with real needs are using these “bikes” with good success. 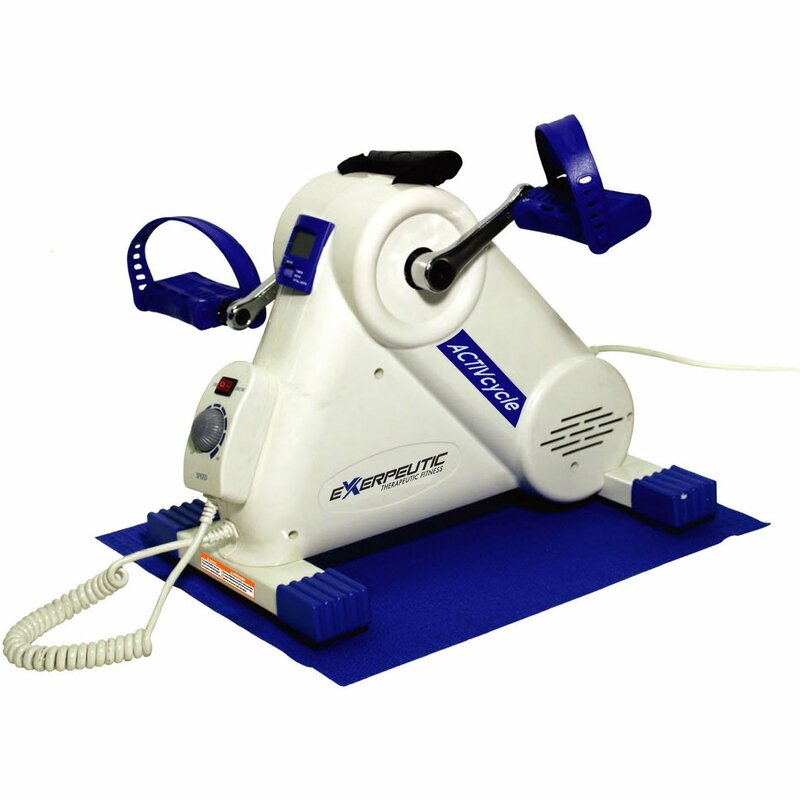 For example, stroke victims who have lost movement on one side of their body benefit from a motorized machine that assists by turning the pedals. People who suffer with arthritis or other medical problems who cannot use stationary bikes, folks who are senior citizens and have balance problems, or people who are overweight, have found a solution in these little mini exercise bikes. Beyond those with health concerns, more and more people these days are using under desk bikes at work to burn some calories or build up strength in their legs. Keeping active at work can help improve your concentration and keep you focused, among other health benefits. If the cost of standard stationary bikes is out of your price range, or you don’t have the space in your home for one, or you simply want to ramp things up at work, try a mini exercise bike...you'll be glad you did!